Clark J. Cochran, Jr. has taken on some tough opponents during his career, from Eddie “Hacksaw” Jones to Scott Rothstein. He’s defended the City of Fort Lauderdale against almost every imaginable type of lawsuit, learning all the nuances of sovereign immunity in the process. He’s also provided a steadying hand on the wheel, helping to guide Billing, Cochran, Lyles, Mauro & Ramsey, P.A. for the past 35 years. Since 1977, Cochran has been defending South Florida municipalities, insurance companies and their insureds against everything from automobile accidents to slip-and-falls to civil rights claims, as well as construction and zoning litigation and appeals. He also defends premises and products liability cases along with insurance coverage disputes, life insurance matters, and bad faith claims. In recognition of his trial skills, Cochran was selected by his peers as a charter member of the Broward County Chapter of the American Board of Trial Advocates, and selected by Legal Leaders as one of South Florida’s Top Rated Lawyers. He is senior counsel member of the College of Master Advocates and Barristers, and is a member of the Defense Research Institute and the Florida Defense Lawyers Association. 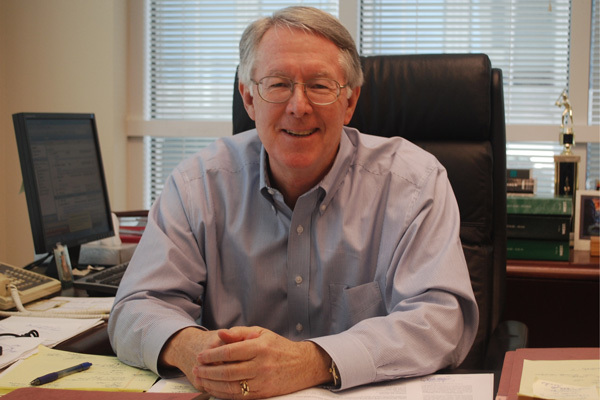 Growing up in South Florida, Cochran earned a bachelor’s degree at Vanderbilt University and his law degree at Florida State University in 1974. “I chose FSU because Tallahassee had a trial court, an appellate court and the Florida Supreme Court,” he says. While in law school, Cochran was hired as a reading clerk for the House of Representatives. “My parents in Coral Gables could see me on TV every night reading the bills on the floor of the House,” he says. After his second year in law school, Cochran took an internship at the State Attorney’s Office in Orlando at a time when there were jury trials for traffic infractions. “I followed one of the prosecutors the first day and watched him try a case from start to finish,” he says. “I thought it was a lot of fun.” The next day, there were too many trials on the docket for the prosecutors to handle, so Cochran was asked to try a case involving an improper lane change. “I won the case and it got me hooked,” he says. During that three-month internship, Cochran tried 12 jury trials by himself, including a felony case, and assisted in a double-murder trial. “By the time I got back to law school that fall, I was the only student who had actually gotten to try a case,” he says. After earning his degree, it was a natural step for Cochran to join the State Attorney’s Office in Fort Lauderdale as one of four misdemeanor prosecutors for Broward County. Before long, Cochran was promoted to the felony trial division, where one of his biggest cases involved a million-dollar armed robbery of a jewelry store on Galt Ocean Mile in Fort Lauderdale. The accused robber, Eddie “Hacksaw” Jones, was a notorious escape artist who had broken out of several jails in the past. “His defense was that he and the store owner had collaborated in the heist to collect the insurance money,” Cochran says. “Jones was convicted and sentenced to 60 years in prison.” Years later, Jones wrote an autobiography and began writing Hollywood screen plays. Cochran was asked to contribute to a “60 Minutes” feature about Hacksaw Jones, but it was never shown after Jones insisted on full editorial discretion. During the mid 1970s, Cochran decided to make the transition from criminal to civil litigation and joined the Broward County Attorney’s office when it established its first Civil Litigation Division. He next teamed up with Steve Billing and Ted Hainline to open the firm which is now Billing Cochran. The new firm immediately found a niche in insurance defense work, representing clients like General Motors, USAA, GEICO, St. Paul and USF&G. During the next two decades, the law firm continued to grow, handling medical malpractice defense for hospitals and doctors, representing numerous local government entities and handling a wide variety of civil litigation. The firm now has 23 attorneys and a second office in West Palm Beach. One of those attorneys is Cochran’s son Scott, who practices in the Fort Lauderdale office. His daughter Amy has a masters degree from North Carolina State and is an up-and-coming fashion designer. With his wife Ann, Cochran is actively involved in the Coral Ridge Presbyterian Church, and he has served as chairman of the board of Westminster Academy. “I had the privilege of handing out diplomas to both of our kids,” he says. Both Cochran and his son are avid tennis players who often attend the major tournaments together. On the professional side, Cochran has handled thousands of general liability and tort cases for insurance companies and municipal clients like the City of Fort Lauderdale, which he has represented since the founding of the firm. One of his biggest courtroom victories came against a national billboard company that sued the city hoping to overturn an ordinance that limited outdoor advertising. But Cochran says his most “amusing case” in recent years involved Club Atlantis, a Fort Lauderdale beach nightclub represented by high-profile attorney Scott Rothstein, now a convicted felon. “A city ordinance prohibited minors from entering the club because it served alcoholic beverages, but was not a full-service restaurant,” he says. “Rothstein went to the newspapers and vowed he would bring the city to its knees.” However Cochran won the case in the state circuit court, in the state appellate court, in federal district court and in federal appeals court. Later, after Rothstein’s conviction for fraud, Cochran saw that the nightclub owner was listed as one of Rothstein’s many creditors.